“Oh, wow, he can read!” the woman commented. We were in Jamaica at our hotel’s coffee bar. Max had been scrolling the web on my iPhone for homes in Jamaica, given that he wanted to move there, and was pointing to his fantasy house. The lady in line behind us had, evidently, been observing us. “Yes, he reads really well—right, Max?” I said. I said this to her straight up, but my heart had taken a nose dive. It hurts when people are surprised by Max’s abilities. Max doesn’t seem to notice or mind, but to me, it’s a reminder of the perceived obstacles he has to overcome in life. It’s equally disheartening when people talk about Max as if he weren’t there, yet another hurdle to contend with. To be sure, it’s wonderful that Max does these things. I know just how far he’s come from those dire doctor predictions in the NICU, and just how much effort has gone into certain accomplishments. I cheer him on when he so much as manipulates a door handle. But I’m his mom. 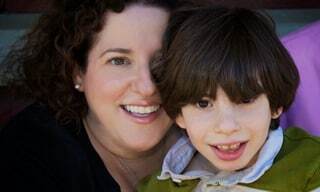 These strangers who make remarks don’t know anything about Max, just what they’re seeing: a boy with disabilities going on about his life…and to them, that is remarkable. Am I over-feeling this? Perhaps. 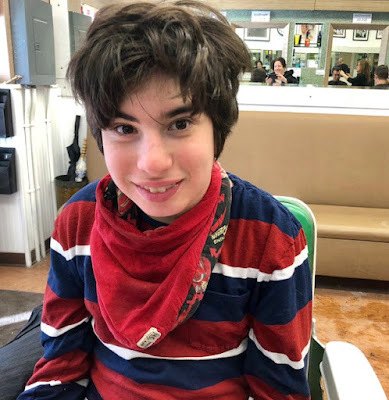 It comes from a place of wanting people to take it for granted that kids and teens like Max have competency, strengths, talents, smarts—the entire human-being package. Of course, the comments are typically well-meaning. But they have the opposite effect of elevating Max: They make it clear how low some people set the bar for those with disabilities. And they’re other-izing in that they treat people with disabilities as if they are an entirely different species. There’s a double-edged sword of what I wish for: If I hope for Max to not understand the “Wow, you’re actually capable of that!” underlying sent iment of these comments, and he doesn’t, that means he wouldn’t have achieved that level of cognition. If I wish for him to understand them, and he starts to, then perhaps they will pain him, too—although he could defend himself. What I unequivocally wish for is for Max to go on about his life without narration from strangers. That’s not happening anytime soon. So the best I can do for him, the best we can all do for our children, is to is to make our children part of the conversation when others talk around them. And we can help others see, in social media and our real-life circles, that disability is one part of who a person is, not the whole. And we can keep right on lifting our children up and cheering them on, so they’re proud of themselves and have the confidence to contend with a world in which people don’t always see them for who they are.